Dales Breeders and Stallions Directory - O Horse! 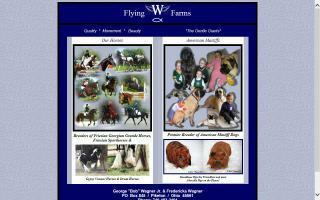 Ohio Morgan Horse farm offering Morgan Horses and Dales Ponies for sale in traditional and exotic colors. Dales Ponies for sale. Beginner English riding lessons, horse shows, and riding camps. Located in northern Virginia's Shenandoah Valley.